Save your money this spring! Check out these 40 free things to do in Vancouver this season, from a Cherry Blossom Festival to Farmers’ Markets and more! 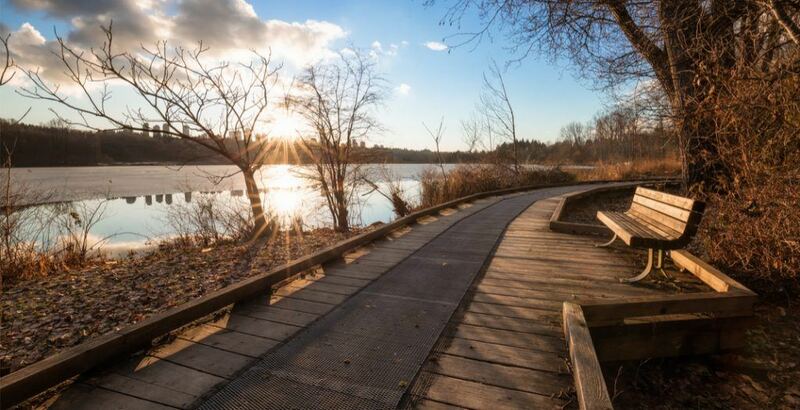 What: ​Get out and enjoy nature this spring break. The nature house at Burnaby Lake will be open with activities and crafts to help you and your kids get outside and experience spring. All ages. What: ​Experience the forest through the eyes of a gnome on a one-hour nature quest. Sneak a peek at the new nature discovery area. Bring food to roast on the campfire. Costumes welcome. What: ​Enjoy an evening forest walk to a campfire. As organizers provide the stories and roasting forks, you provide your own marshmallows and songs. Hike departs at 6 pm sharp. All ages are welcome. What: ​Check out displays and presentations at these themed open houses. Tour indoor and outdoor learning spaces including the Bell-Irving Hatchery, ‘Roof to Creek’ stormwater management system and wetlands. If it wasn’t for snails, slugs, worms and their allies, there’d be a whole lot more poop in the park. Learn about recycling, Mother Nature style. All ages. Where: Kanaka Creek Regional Park – Kanaka Creek Watershed Stewardship Centre. Meet at 11450 256th Street, Maple Ridge. 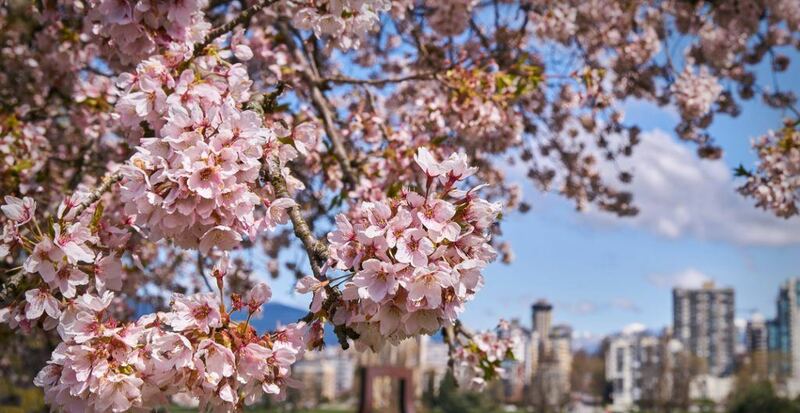 What: Vancouver’s annual Cherry Blossom Festival is a celebration of the city’s gorgeous pink cherry trees and a welcome sight for the winter-weary Vancouverites. The Cherry Blossom Festival looks to show off close to 40,000 trees, many of which originated as gifts from Japan. The festival looks to express the city’s gratitude while celebrating the beauty and joy that the blooms with the flowers. New to this year, festival organizers have made the point of asking anyone taking photos in neighbourhoods to be respectful when visiting. What: Metropolis at Metrotown’s Grand Court will become the site of Blossom at Metropolis, a one-of-a-kind art installation that includes more than 250,000 cherry blossoms. Mall-goers are encouraged to pass by and get an early glimpse of some gorgeous white and pink petals, all created by interactive arts company Hfour. In addition to more than a quarter-million cherry blossoms, the exhibit will feature dozens of mirror spheres (the largest being four metres in size) that’ll create the illusion of infinite blooms. A series of floral art and Japanese culture workshops will also be held every Tuesday, Wednesday, and Thursday, while the exhibit is in place. And of course, what installation would be complete without a selfie zone? What: Enjoy the antics of a children’s entertainer, craft activities, heritage games and unlimited carousel rides. All activities take place in the Carousel Pavilion. No access to Museum site. Children and adults must attend together. What: Not sure what to do for Spring Break? Bring the kids back in time. Drop in for activities at Heritage Stewart Farm during both weeks of the break Tuesday to Thursday from 12 to 3 pm. Show the kids how people lived in Surrey in the year 1900. Themes will include spring cleaning, activities in the kitchen and old school fun. Pack snacks and boots and remember to charge up your phone to take lots of pictures. 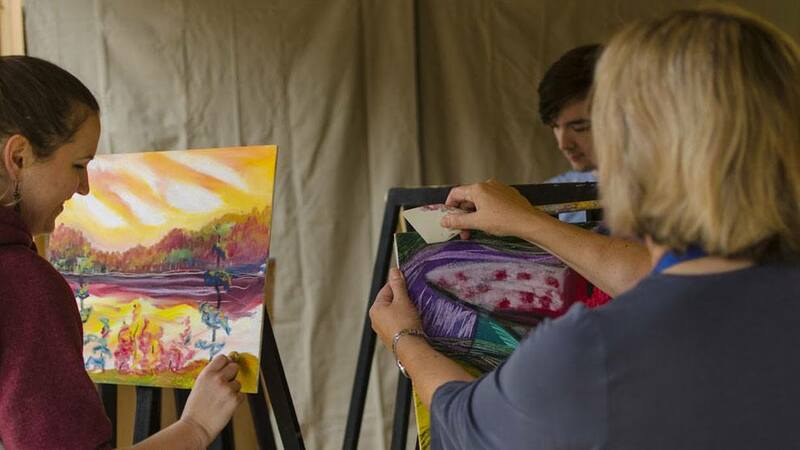 What: Join Surrey Art Gallery Association for an action-filled evening where twelve professional artists will face off in four 25-minute rounds using oil sticks. As a member of the audience, you’ll watch and vote for your favourite artist after each round. Winners from the first three rounds will compete in the final, fourth round, and the audience will decide on the “People’s Art Champion” at the end of the evening. What: Bring your clothes that need to be repaired and a team of expert fixers will show you how you can repair the clothes yourself. Sewing machines, threads, needles and all sewing supplies will be provided on site. No experience necessary and all are welcome. What: Find bargains on children’s toys, books, decor items and more! Free admission for buyers. What: Vancouver comedians Ryan Williams and Alistair Ogden host a night of comedy in the Parkside Tasting Room with a rotating cast of comedians monthly. 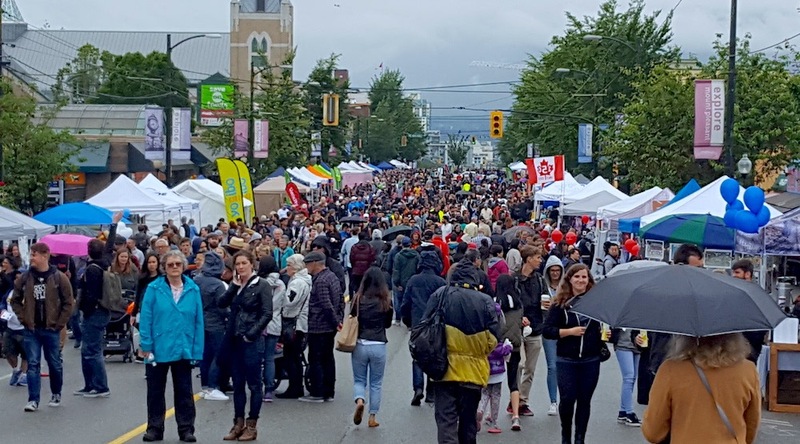 What: The Greater Vancouver Food Truck Festival is back for its sixth year featuring delicious grub-on-wheels, drinks, and more. This year brings seven drool-worthy events from the Fraser Valley Food Truck Association, each featuring 28 trucks to enjoy. 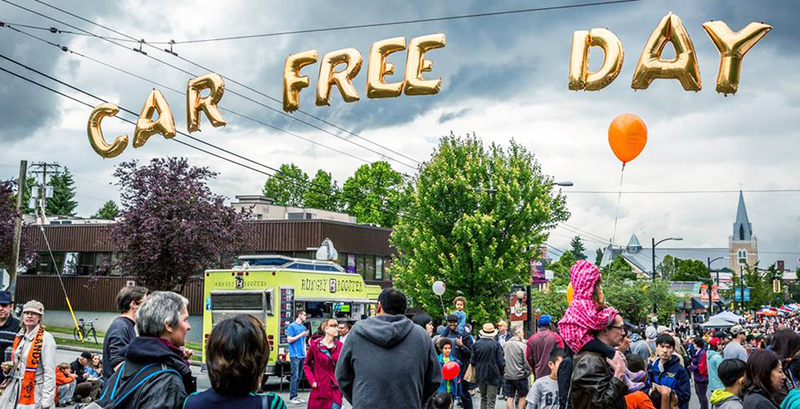 What: Vancouver’s ever-popular Car Free Day is returning for another summer in several of the city’s most popular neighbourhoods. Enjoy community booths, food trucks, live entertainment and more. As per usual, attendance to the three events are free, and visitors are encouraged to walk, cycle, or transit to get to the festivities. What: Each week you can look forward to finding locally grown vegetables and fruit, meat and seafood from local ranchers and fishermen, artisan cheese and bread, herbs and seasonal nursery items, baked goods, prepared foods and artisanal crafts. What: Find a great selection of local produce, fish, meat, dairy, artisan prepared foods, baked goods, local crafts, craft alcohol producers, and food trucks. There is free parking for market shoppers at Gate 2 off of Renfrew St.
What: The market features farm-fresh produce, plants, quality crafts from local artists and artisans, gourmet prepared foods, community information, live entertainment, and more. What: Established in 2008, the Port Moody Winter Farmers Market began as a bi-weekly market in the lobby and courtyard of the Port Moody Rec Centre. 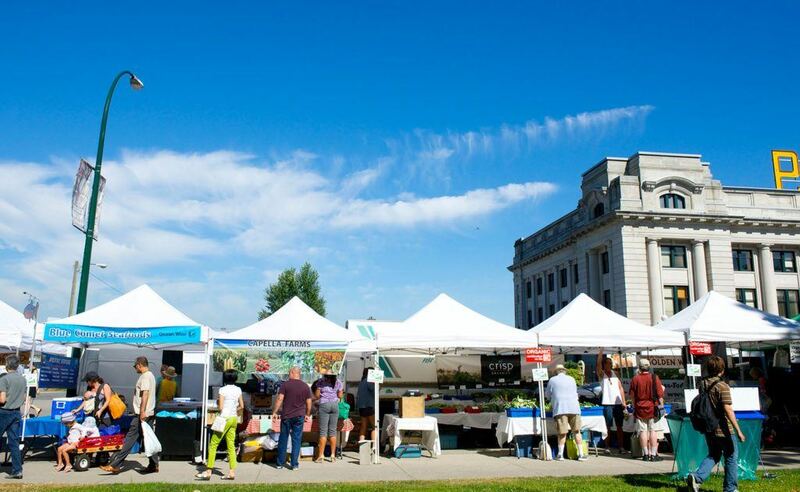 Now a weekly market, shoppers can stop by every Sunday for local BC produce, artisan crafts, and delicious baked goods. 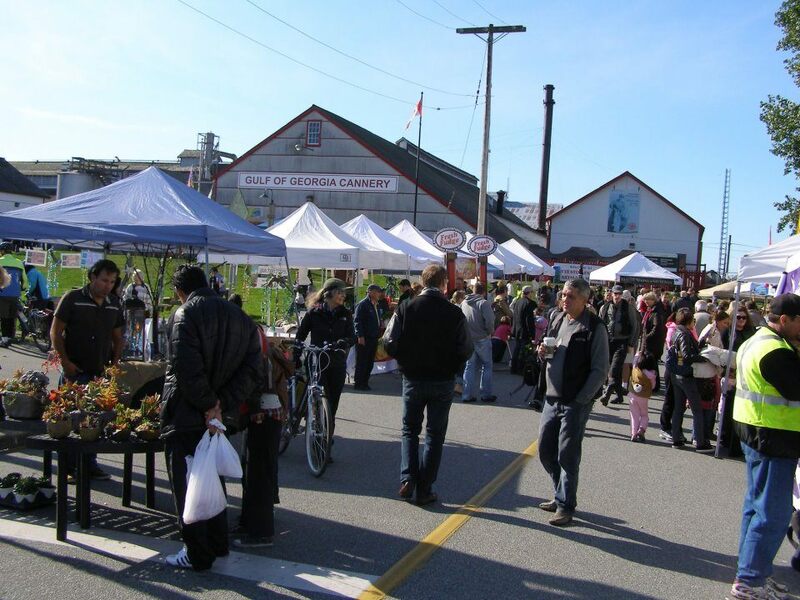 What: Launched in 1996, the Poirier Street Farmers’ Market is the longest running suburban farmers market in the Lower Mainland. The Poirier Street Market hosts a diversity of vendors and products from May through October. Each week a wide variety of vendors gather to showcase their products – made, baked, grown, or raised in BC. What: A vibrant, multi-cultural Farmers’ Market, promoting small-scale farmers, food producers and artisans. Meet farmers, bakers, distillers, artisan and crafters, food trucks, community groups, and more. What: A vibrant outdoor Saturday market in downtown Maple Ridge, Haney Farmers’ Market sells fresh farm produce, locally-grown fruit and veg, preserves, baked goods, artisan crafts, fine art, and more. What: Explore the dozens of local makers, bakers, and growers at two weekly locations of Langley Community Farmers’ Market. What: Fort Langley Village Farmers’ Market is an authentic BC Farmers’ Market and features local farmers and Certified Safe Prepared food vendors bringing in fresh local produce, field greens, vegetables, fruits & flowers, fresh baking, fruit pies, cupcakes & cookies, local craft beer, varietal wines, tasty prepared foods from our Fraser Valley, the Similkameen and Okanagan Valleys.